Tysons East has been in the spotlight a lot lately. Apple is eyeing Scotts Run, a development in Tysons East, as a potential new office location. Greater Greater Washington just profiled the neighborhood, calling it a “glitzy, suburban” area that may someday be a haven for “creative class” professionals. 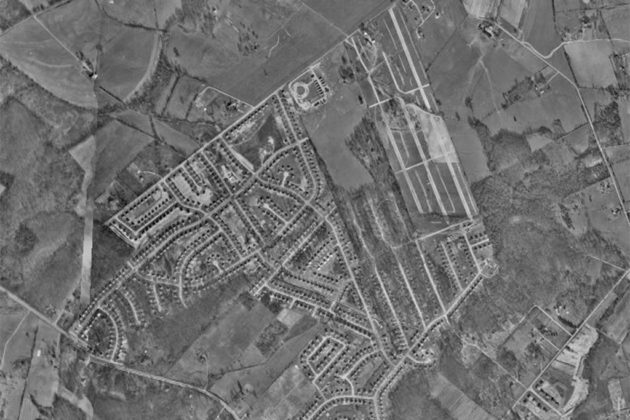 Like we did with Tysons Corner Center mall and Maple Avenue in Vienna, we’re using Fairfax County’s aerial photography maps to explore the history of the still-expanding Tysons East. 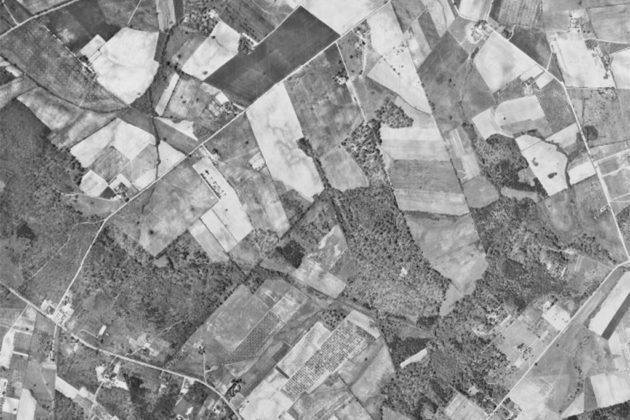 The earliest photography in 1937 shows the area as plots of farmland. The first development at the site was Pimmit Hills, built in the 1950s as a home for veterans of World War II and the Korean War. The photography from 1953 shows the neighborhood still in development, and by 1960 it had taken the general shape it still exists in today. 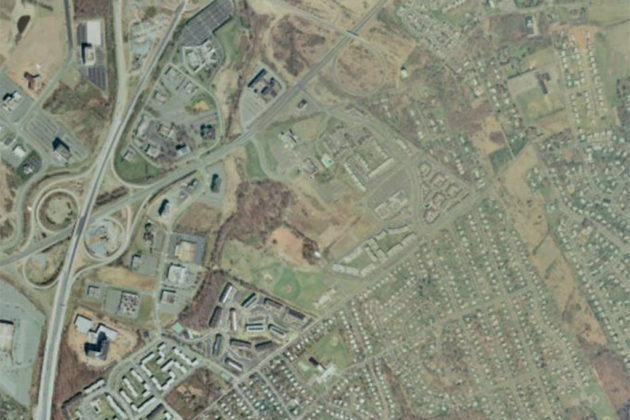 From there, the story of Tysons East’s development moves north. In the 16 years between 1960 and the photography from 1976, the area north of the Pimmit Hills exploded with new development. 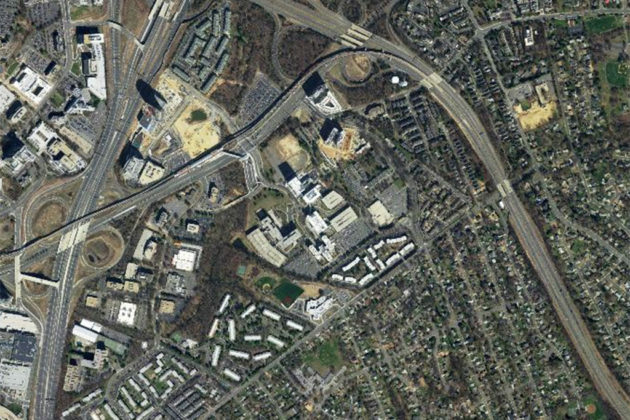 The construction of the Capital Beltway in 1964 and the construction of the Tysons Corner Center mall in 1969 helped spur new development in the area. 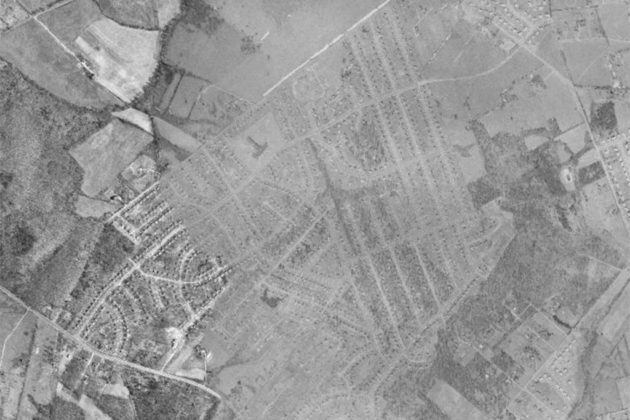 The aerial photography from 1990 shows continued growth in the area. 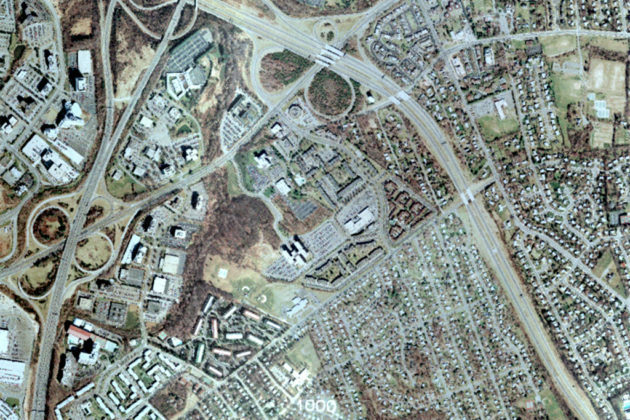 In 1985, the Dulles Toll Road was extended from the Beltway to I-66, completely surrounding Pimmit Hills and the Tysons East development with major highways. The largest change between 1990 and 2017 is the redevelopment of the smaller office buildings into major corporate campuses. Photography from 2017 shows areas of the Capital One complex, like the Capital One Tower, still under construction. 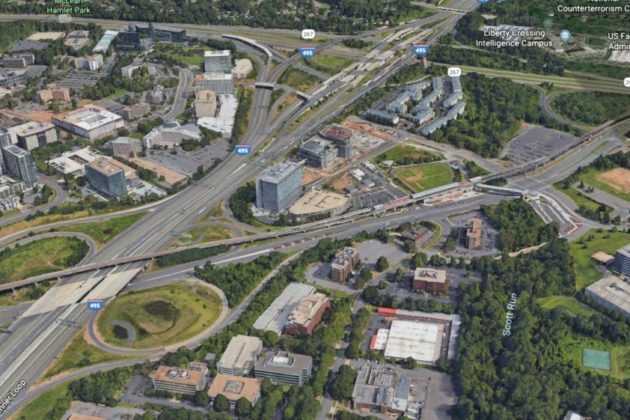 Professor Stephen Fuller, Professor of Public Policy at George Mason University, said the complex is likely to be an anchor for new development in Tysons East.